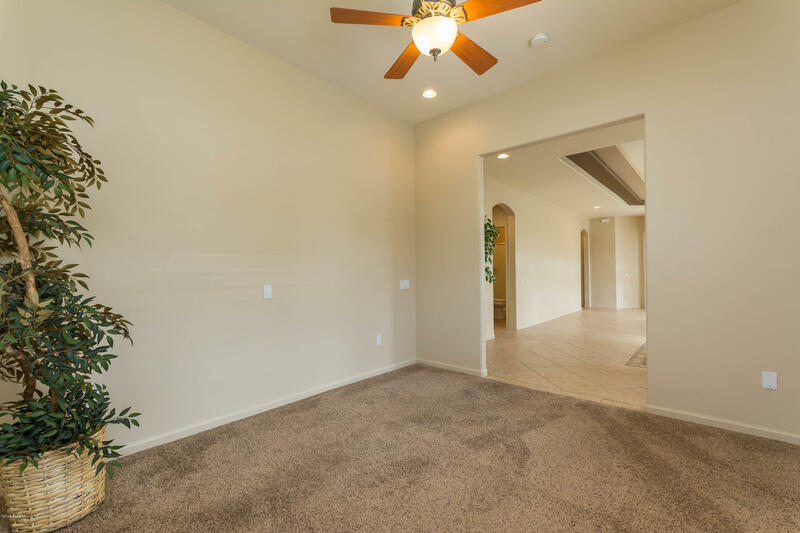 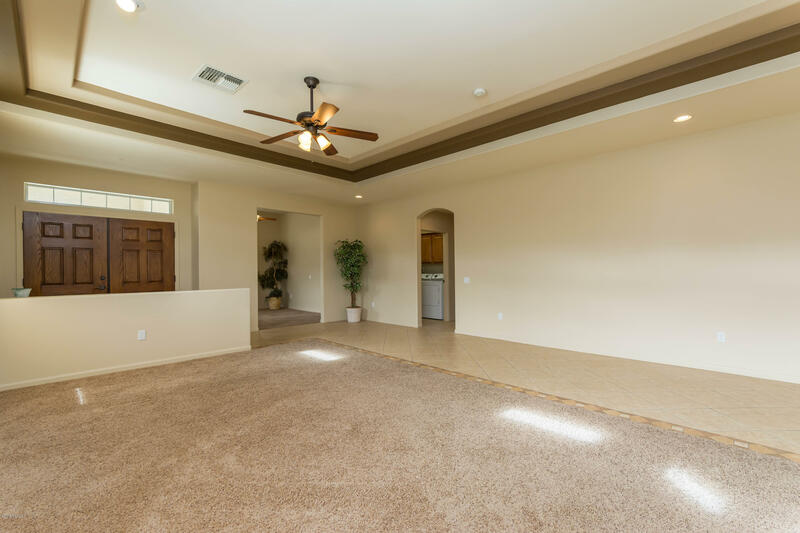 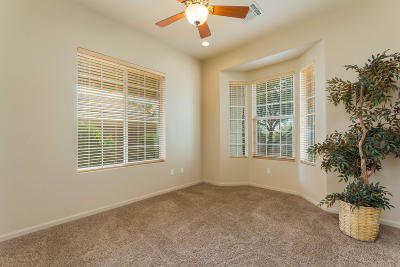 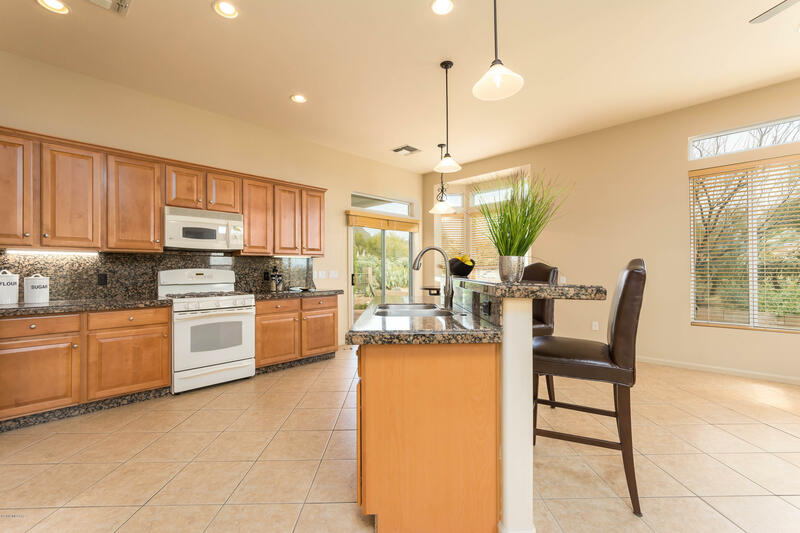 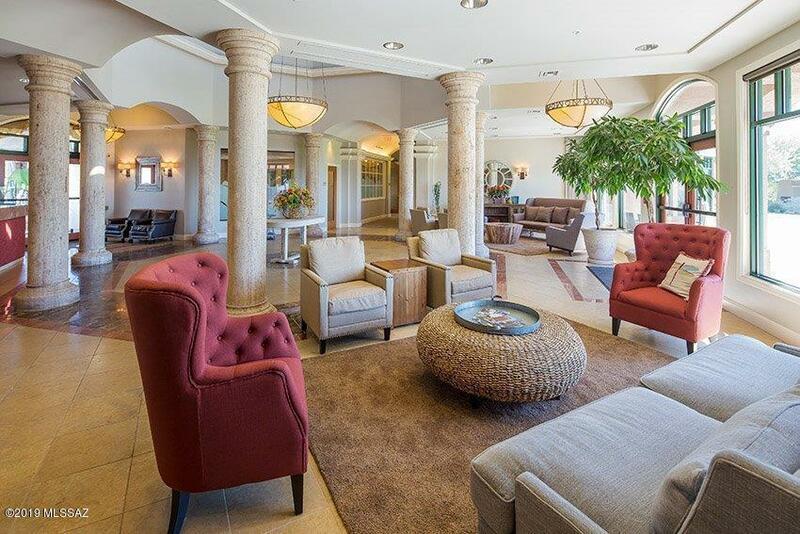 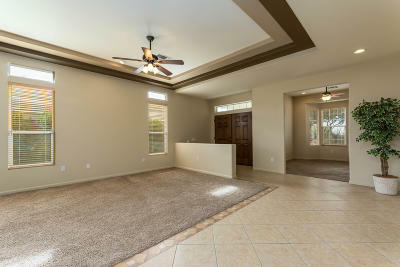 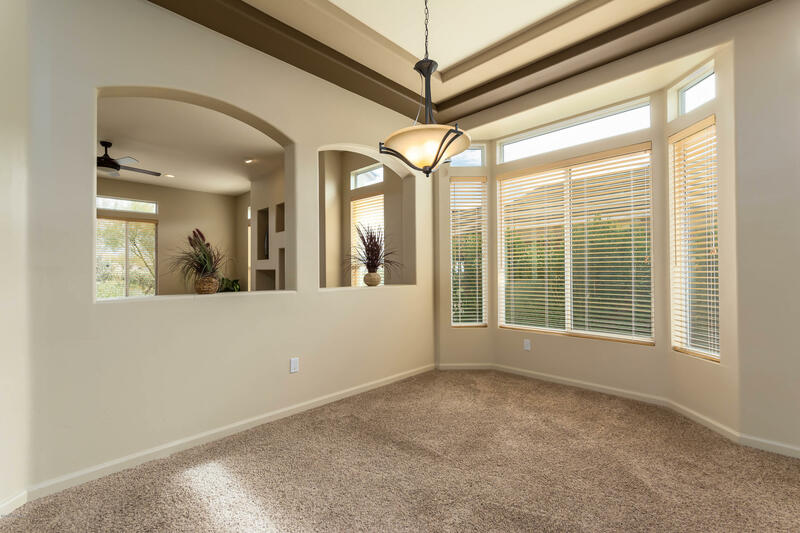 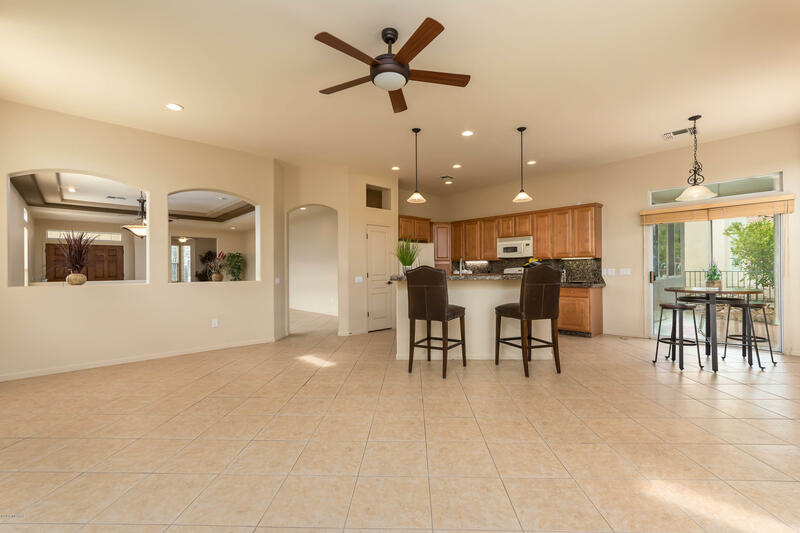 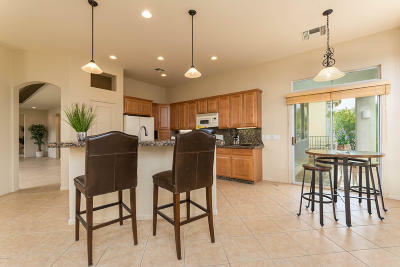 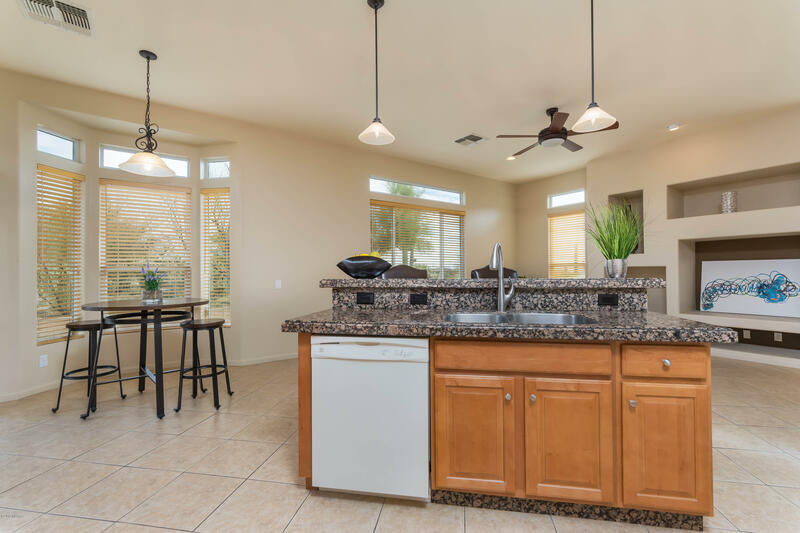 Lovely, move-in-ready extended Medford floor plan w/golf course and mountain views. 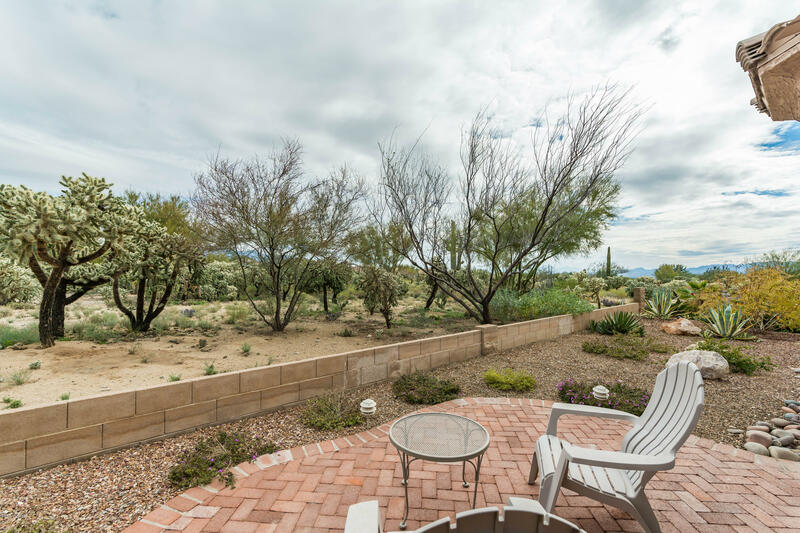 Highly desired east facing backyard. 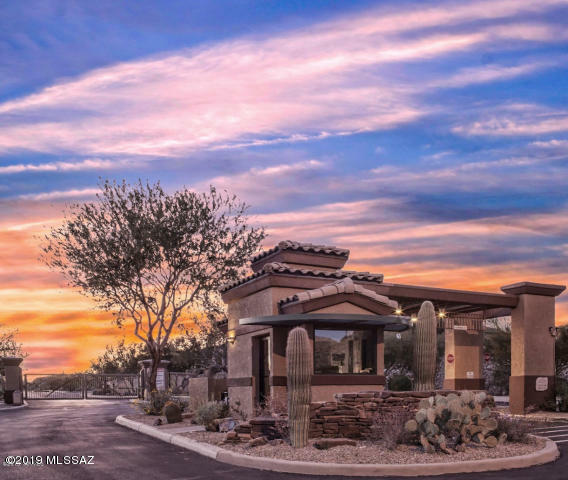 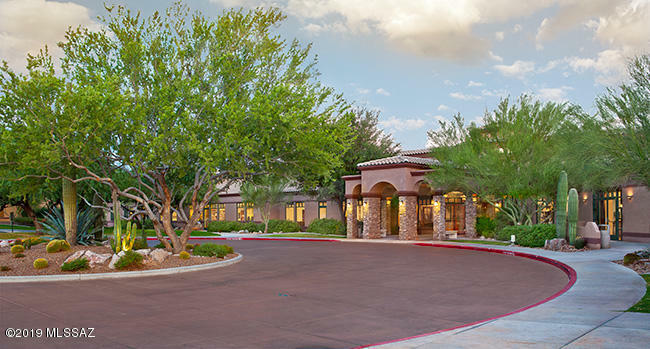 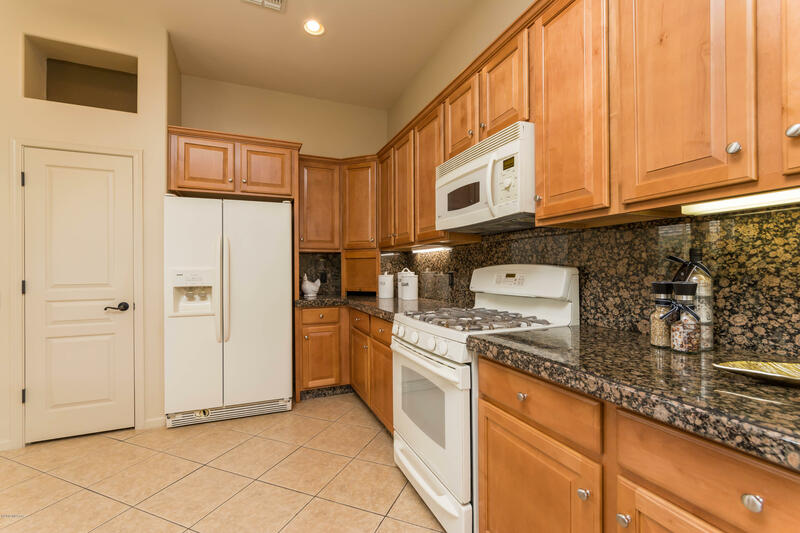 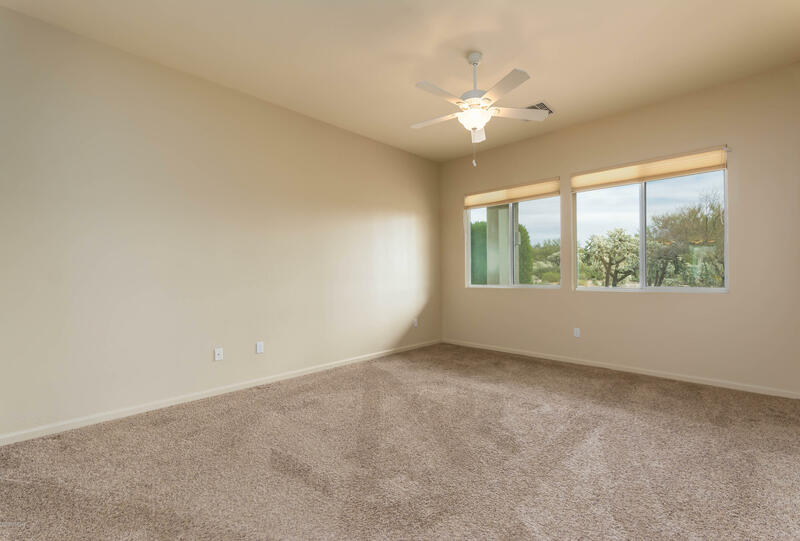 Spacious den/office w/bay window + extended guest bedroom w/triple length closets,, spacious kitchen w/granite countertops, maple cabinets w/crown molding, pullout drawers, newer appliances. 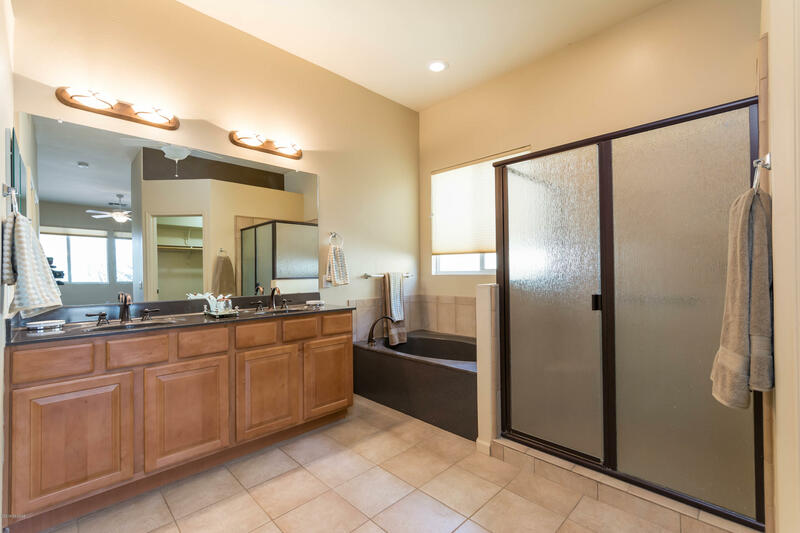 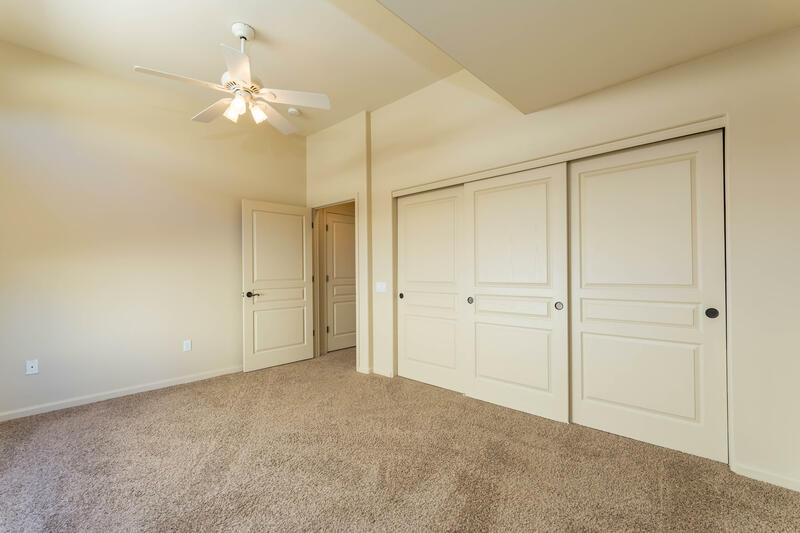 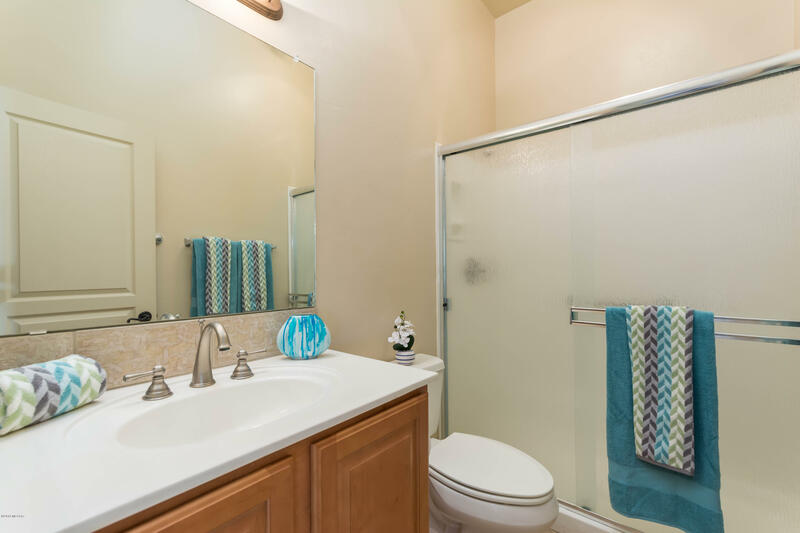 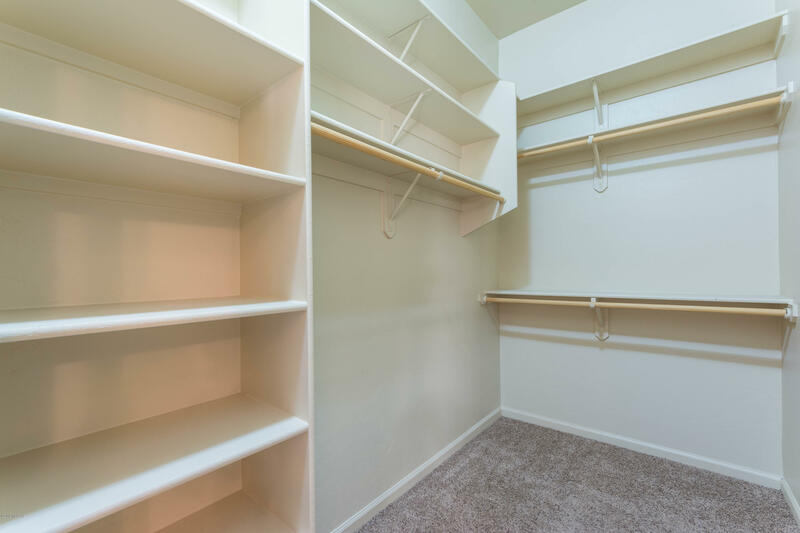 Spacious master bedroom w/dual walk-in closets, dual sinks,soaking tub & tiled shower. 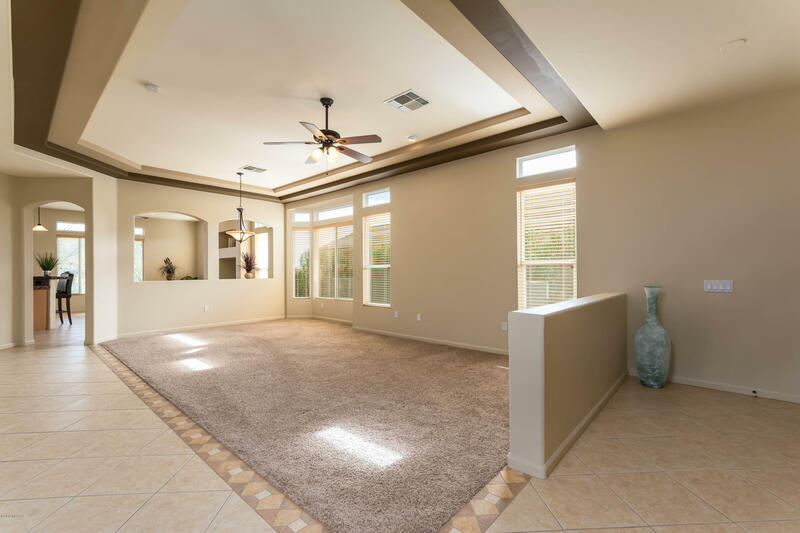 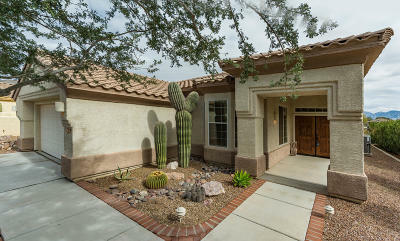 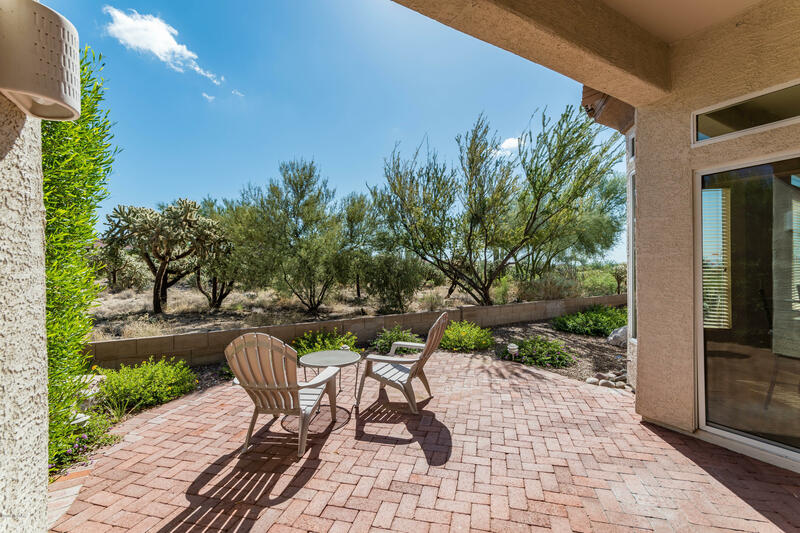 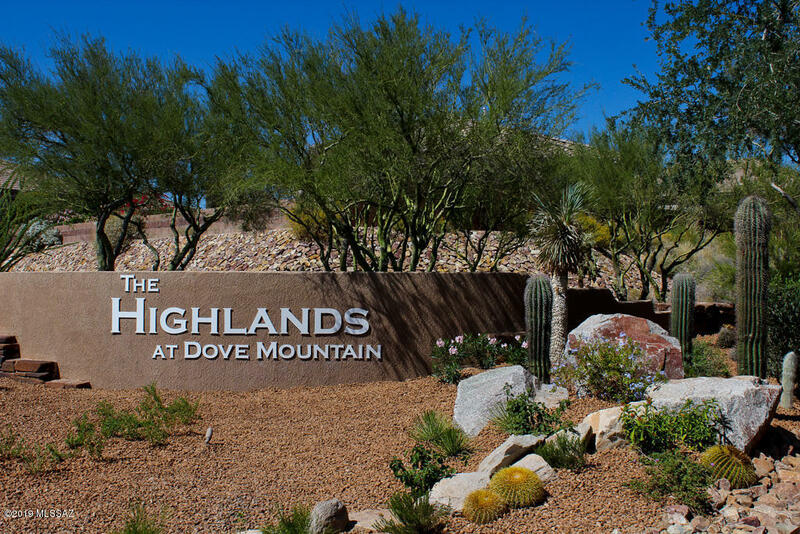 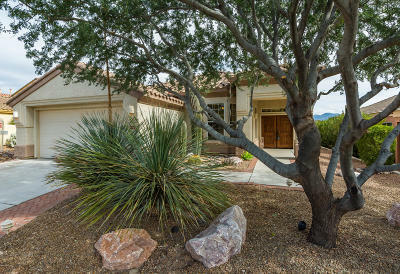 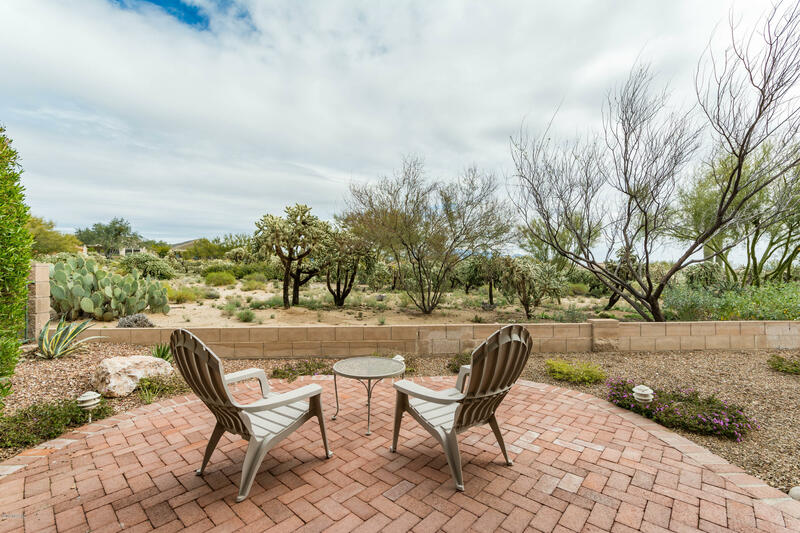 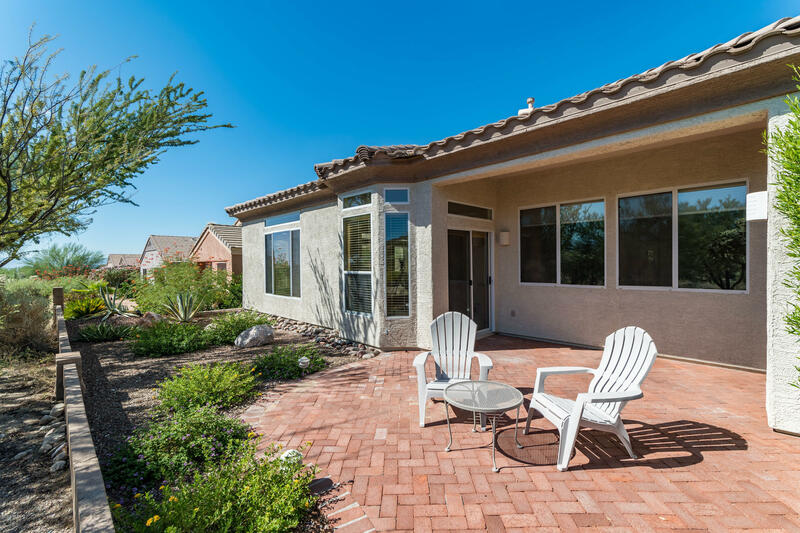 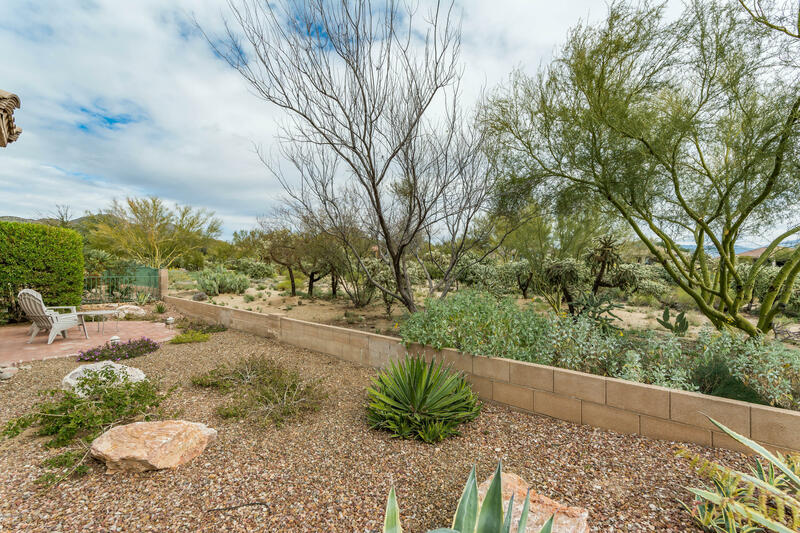 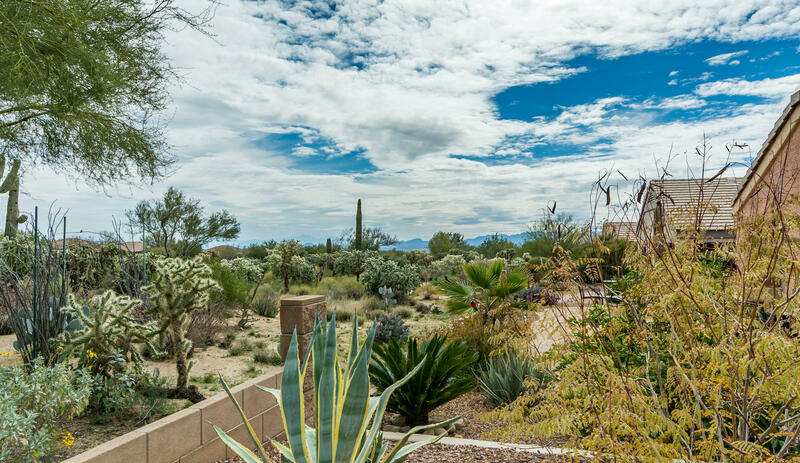 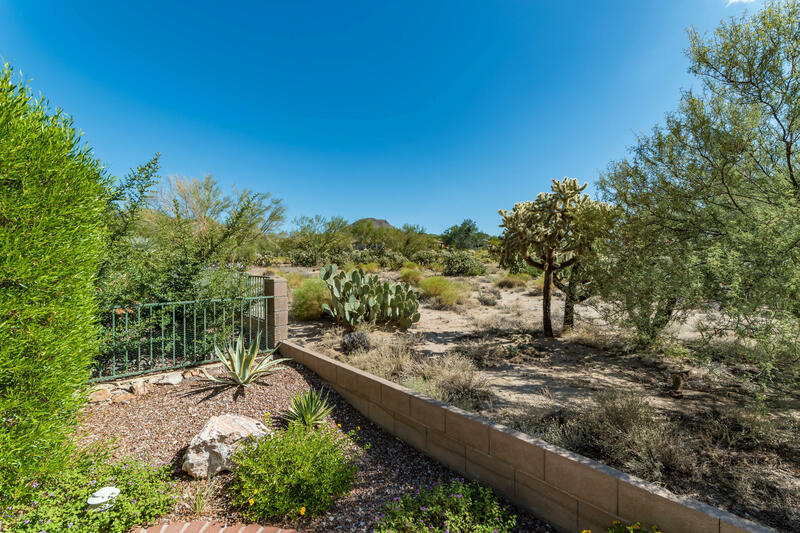 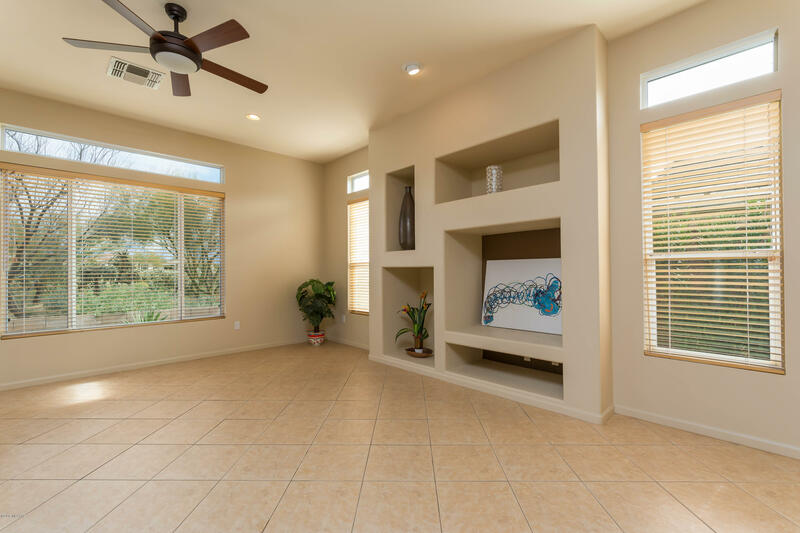 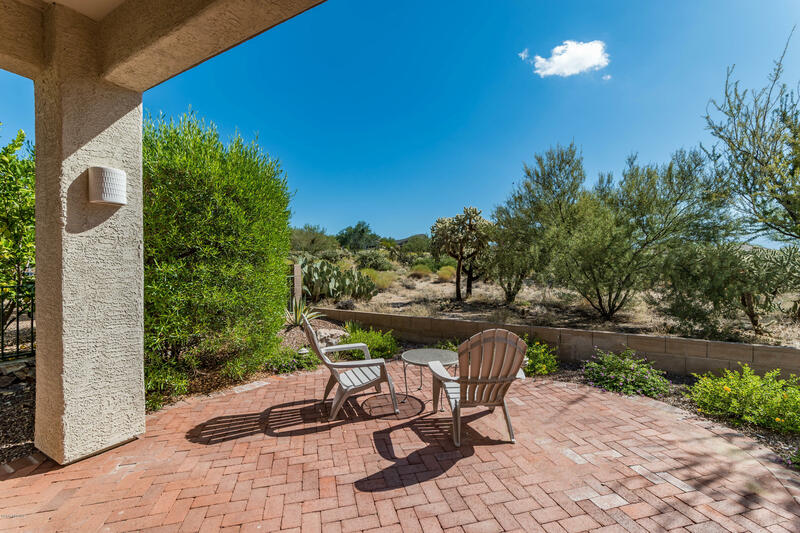 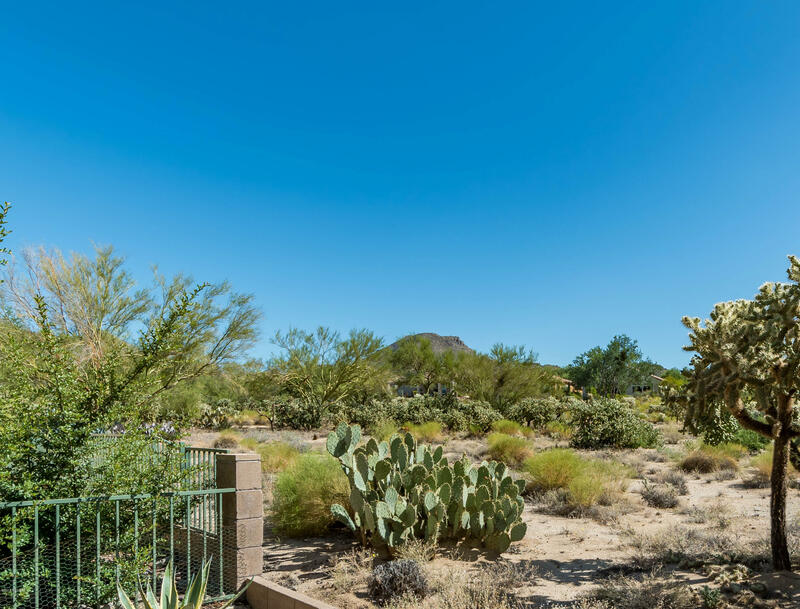 Pleasant in and inviting backyard backs to natural desert habitat then off to the golf course and mountain views. Quick move in available. 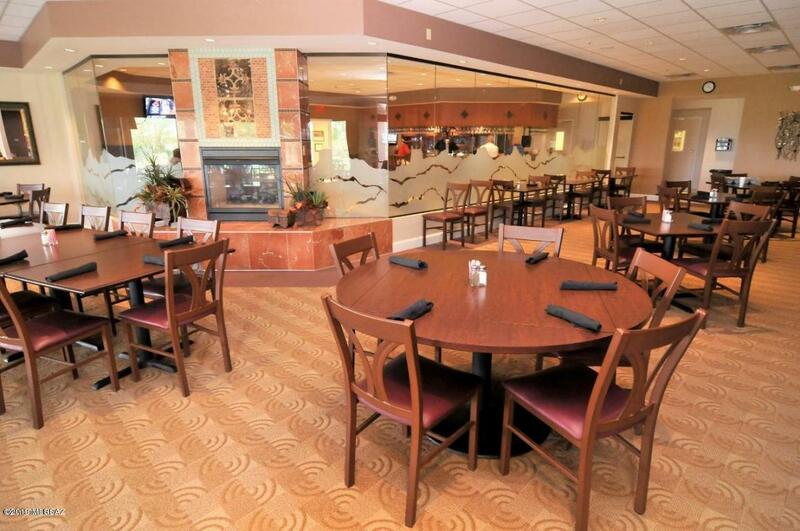 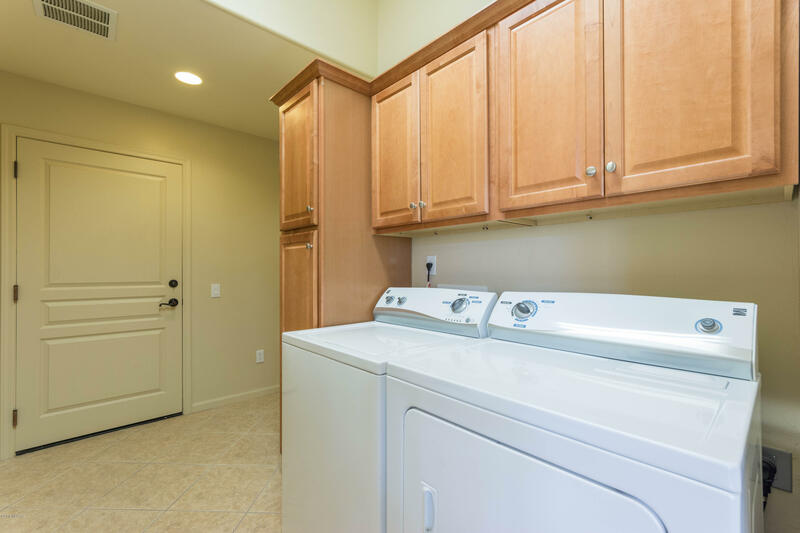 All kitchen and laundry appliances convey with accepted offer. Call for private showing.